Ohh today was a good, big day. My first born started school. Dear me, how did that happen? I went to our new local bookstore whilst he went to class and purchased him a ‘first day of school gift’ - STARTING SCHOOL. We’ve already read it and it was awesome. 1/ It looks at 5 children and highlights their individualities. 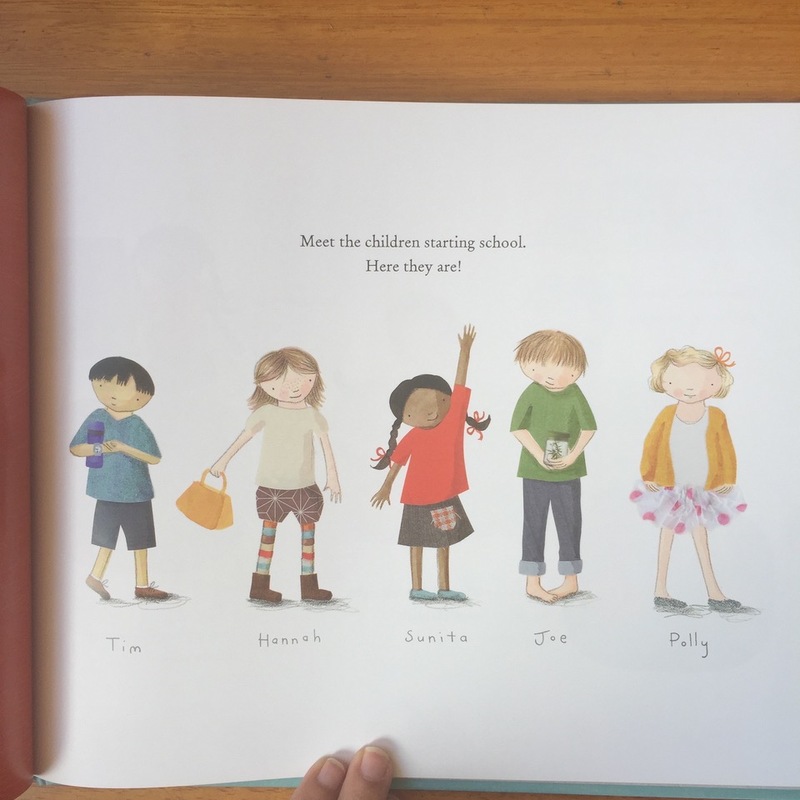 Hooray for a book that looks at more than 1 child - especially in something as sensitive as starting school. Not all kids are super excited about the big day. This book is PERFECT in highlighting different nationalities, personalities, individualities and more… There is definitely a character within the story that most children can relate to. 2/ It goes through all the things you do at school. There’s no sugar coating as such - but this is a great book that touches on all the different things you will do at school. As a new school-Mum I really appreciated the practicalities of this story. 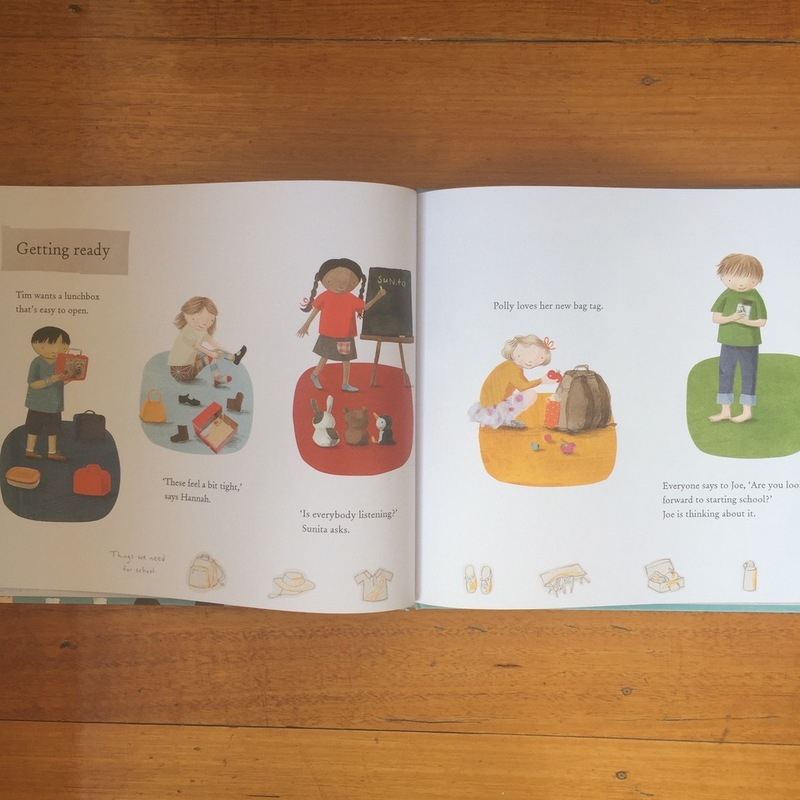 Each spread goes through the first day at school and what you’ll do - from getting there, lunch and through to packing up. It’s a busy day, but I enjoyed going through this with my son as it opened up conversation to his day as we went through the first day steps. 3/ It is a comforting and reassuring story. 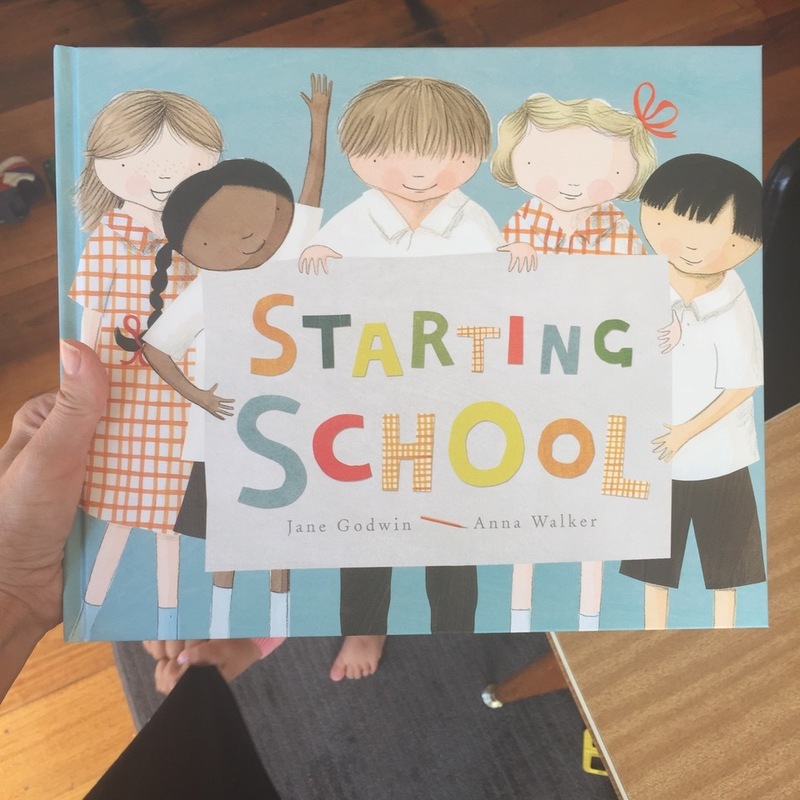 I wish I had bought this book a few weeks ago… but I think it will still be very handy over the next few weeks as we get used to the routine of school. It is written so compassionately that it’s hard for adult and child not to love it. The illustrations are warm and inviting and have the trademark Anna Walker style that I adore. Thank you Jane & Anna! Wonderful book - run out and grab a copy for anyone you know who’s starting school or just started. What a wonderful gift! Side note: can anyone see the duress I’m under when photographing?? Doing anything with a 1 year old is HARD!!!! !